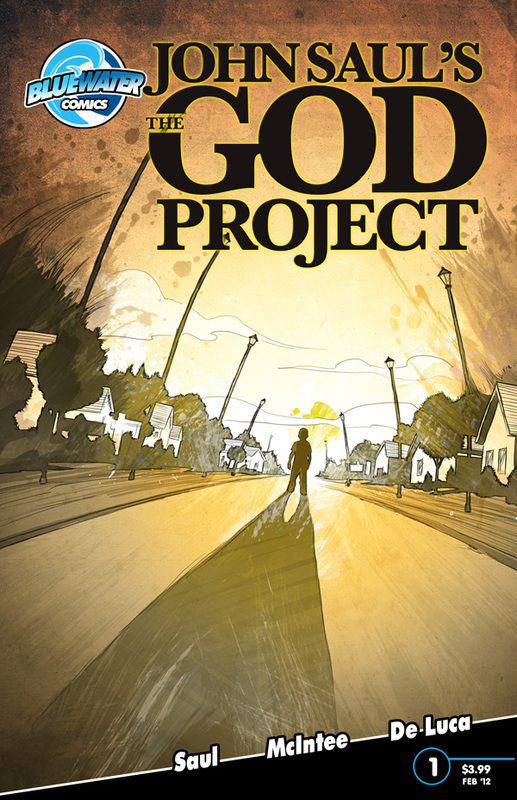 The Fellowship was fortunate enough to obtain a copy of JOHN SAUL’S THE GOD PROJECT #1 from Bluewater Productions. David McIntee wrote the story based on the novel by John Saul. The art is by Federico De Luca. This issue focuses on the Montgomery family and the Corliss family. The Montgomerys believe there is something more to their two-year-old daughter’s death than Sudden Infant Death Syndrome that they were told. They find out that they aren’t the only ones in Eastbury, Massachusetts that has a SIDS related death. Meanwhile, 13-year-old Randy Corliss has disappeared and may have been kidnapped. A private investigator uncovers enough evidence to get the police and FBI involved, but where is Randy and is he in danger? I have not read the novel and unfamiliar with the story. However, there is enough mystery here that has piqued my interest to see what happens next. The mood Federico De Luca’s art creates is great. His use of pencils and colors creates a normal appearance, yet there is something that is not quite right. JOHN SAUL’S THE GOD PROJECT #1 is available at your local comic book store or at www.bluewaterprod.com.